When Entering Sleep Mode for example by Closing LCD With iRST Enabled, System Will Enter iRST Mode After a Period of Time. When the LCD Is Opened, System Will Hang With a Black Screen and LCD Backlight. The Problem is when System runs into sleep mode by LCD lid closure and then enters into iRST mode. When system resumes form iRST mode, SBIOS runs into an unknown status and stops POST. When tries to power up system, it will get a black screen with KB backlight on and system stops POST. System runs into sleep mode by LCD lid closure and gets into iRST mode by then. When system resumes from iRST mode, BIOS will get an unknown command from LCD lid which leads BIOS into an unknown status. The Suggestion is, Do not enter sleep mode by closing the lid. Use other ways to enter sleep mode then idle for a period of time to iRST mode will be fine. When this failure occurs, force system shut-down then power on again. Select Start Windows Normally. 3. Item “When I close the lid” do not set to “Sleep”. 3. 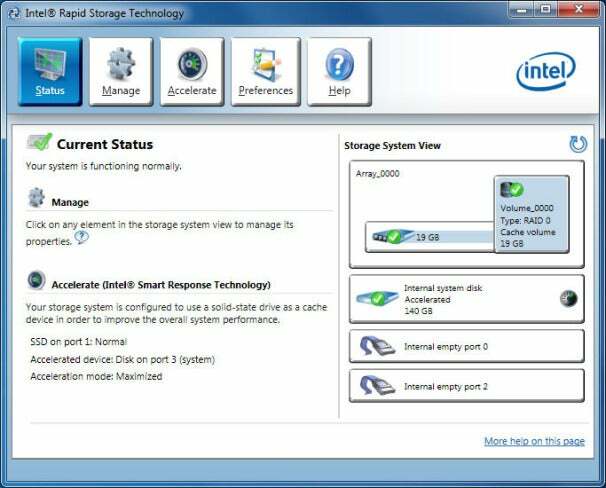 Set “Intel Rapid Start Technology” to disable. 0 Response to "System unable to wake after put to sleep iRST "